On-Line Residential (OLR) is the primary source for listing and building data among residential brokerage firms in NYC. Established in 1995, the firm provides more than 10,000 agents a proprietary business-to-business platform to best conduct their day-to-day activities as a real estate professional. 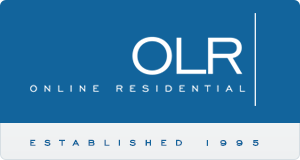 In addition to the platform, OLR provides a host of services to the real estate community, including web site design and development, idx integration, real estate marketing, photography and video production and feed syndication.